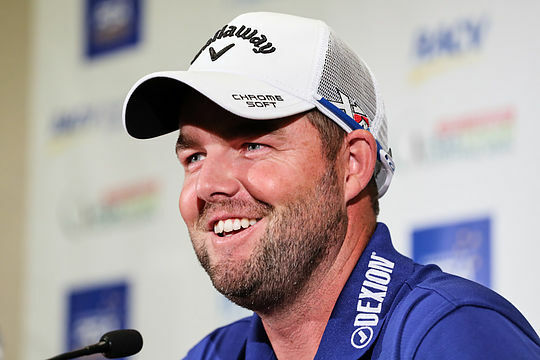 It is difficult to believe that, with his immense talent, Marc Leishman is still a ‘maiden’ on the ISPS Handa PGA Tour of Australasia. The boy from Warrnambool has come ever so close to winning a British Open (losing in a playoff to Zac Johnson) and also contended in the US Masters. He does have three wins on the world’s richest golf arena, the US PGA Tour, but is yet to achieve that breakthrough win in his home country. Now Leishman is hoping he can remedy that by making an early commitment to play in the Australian PGA Championship when it begins on November 29. The popular Victorian has become the first ‘marquee’ player to commit to one of the big three Aussie events later in the year. And he cannot wait to get back to the RACV Royal Pines Resort where he feels he has a genuine chance of success. “I have played well at RACV Royal Pines Resort over the past few years. “I definitely think it is a layout that suits my game so I believe winning there is within my grasp. Leishman has enjoyed a strong start to his 2018 PGA TOUR season already recording four top-10 results including a tied seventh at the Sentry Tournament of Champions and outright ninth behind Patrick Reed at The Masters.